Bitcoin was the first application built on top of blockchain. In 2008, a person or group of people known as Satoshi Nakamoto published a paper describing bitcoin and how it could be used to digitally send payments between any two willing entities without the need for a third-party financial institution. Each transaction was recorded on the blockchain ledger, the newest block tied to the ones before it using a digital signature. To ensure trust in the ledger, participants on the network ran complicated algorithms to verify those digital signatures and add transactions to the blockchain. Technology managers are all so familiar with how the IT industry frequently come up with new technologies and how analysts, journalists and conference organizers tend to amplify the potential of such technologies, but we all know that not every new technology makes it to the mainstream. It is however important to note a few things here, blockchain does not have a central authority and hence there are no intermediaries, it enables peer to peer transactions, and it is thought be very highly secure due to the way it is being built (security is built in not bolted on). So you can potentially compose and sell your music to its consumers without the need for Apple Music or transfer bitcoins to your daughter without the need for a bank. That means new disruptive business models and startups can come up and change the way we have traditionally transacted, that is of course a medium term risk for any business and that also explains why banks and venture capitalists have been very actively investing in blockchain startups according to research published by PWC. So the interest in blockchain isn’t necessarily because it is a new secure distributed ledger but because it gives rise to new disruptive business model that may affect many industries. Here is an example of how blockchain may impact banking. None of that of course guarantees that consumers will change their behavior overnight or that eBay, Amazon, Apple Music and all the banks won’t be there tomorrow but it means technology managers need to be on top of this new disruptive technology. It means you need to assign a small team in your organization to research the possible applications of blockchain in your particular industry, watch what your competitors are doing and what new startups are working on. It certainly also means you need to take the lead in terms of keeping your fellow business executives up to date about the potential risks and opportunities presented by blockchain. It is one more opportunity for technology executives to demonstrate leadership within their respective organizations by going way beyond running or improving IT and straight into the world of innovative ideas that can dramatically improve the future outlook of their companies. 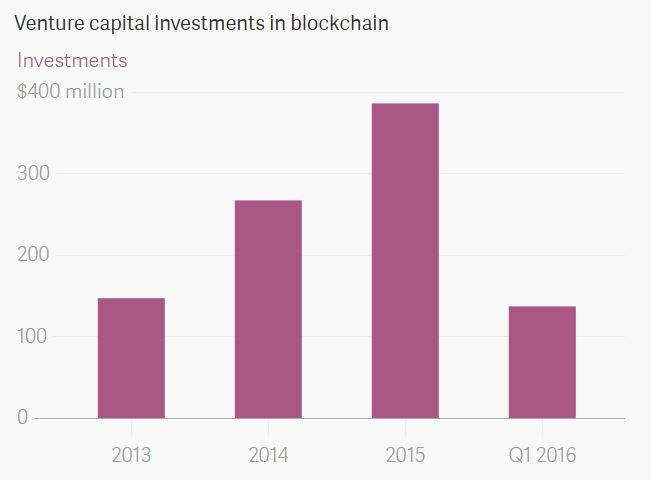 Try to think how blockchain can affect not just the bottom line but the top line, new revenue, growth and services. Go after new customers and do things that were not done before. That is the challenge especially for big companies because they do not think out of the box very often. But here is a tremendous opportunity for IT to lead the change. Grab it now!